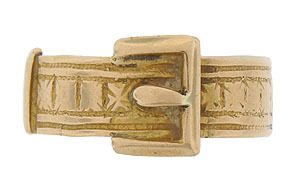 This 18K yellow gold antique wedding band is fashioned in the manner of a belt and buckle. 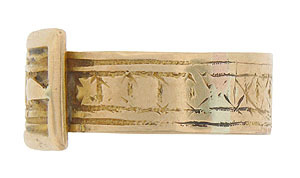 The surface of the band is deeply engraved. 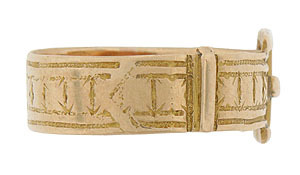 The interior of the ring is inscribed "Tom & Adie 18 Oct. 1886". 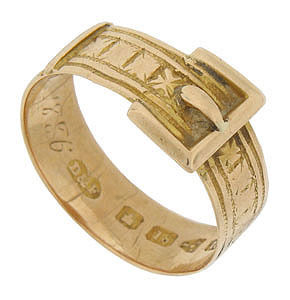 The Civil War wedding ring measures 9.20 mm in width. Circa: 1886. Size 8 1/4. We can re-size slightly.